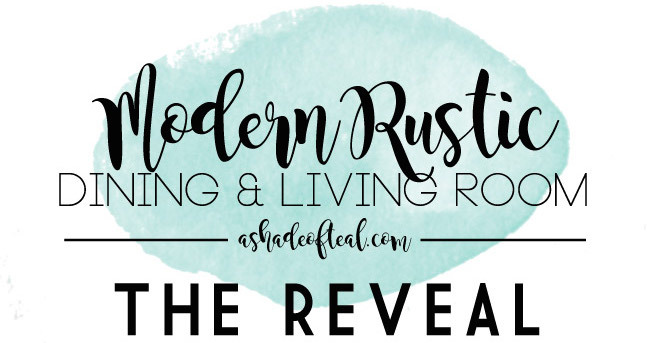 It’s the final week before my big reveal of my dining & living room makeover. I’m starting to put the finishing touches on it; but not to reveal too much, I’m sharing some of my latest decor from IKEA. IKEA is a staple for me when it comes to decorating, they have so many items that I love. 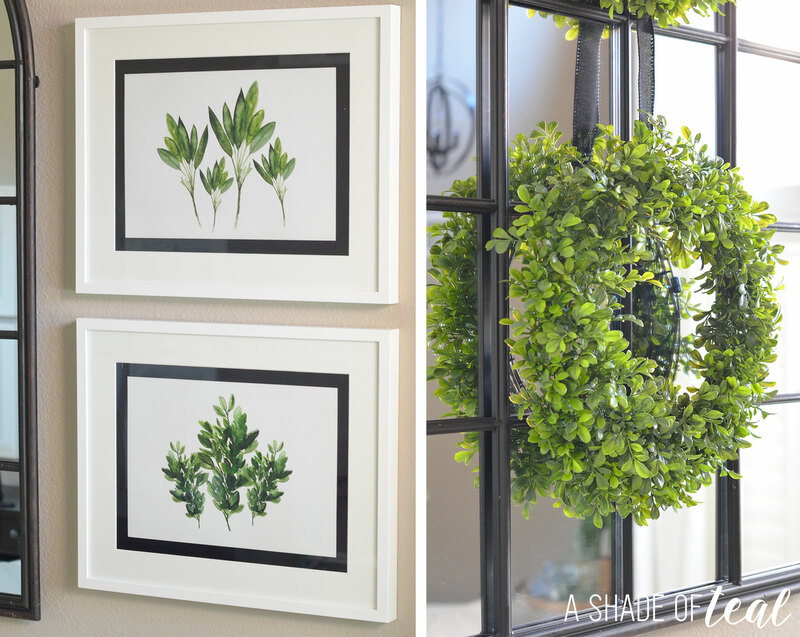 For starter’s you’ll always find their frames and faux plants in my home. Since the ceilings are 12 foot tall in my living room I wanted to make the main wall a focal point. So above my DIY board and batten I added a black arched mirror with some white RIBBA frames and faux wreaths. I love incorporating the RIBBA Frames in all my rooms. They’re the perfect classic white picture frame. The SMYCKA artificial wreath is a new fav of mine. 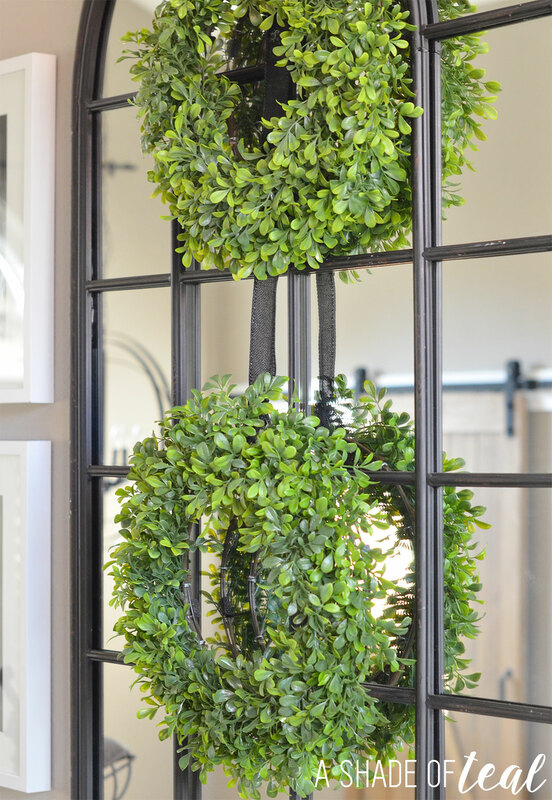 I’m pretty obsessed with boxwood wreaths and these artificial one’s looks so realistic. 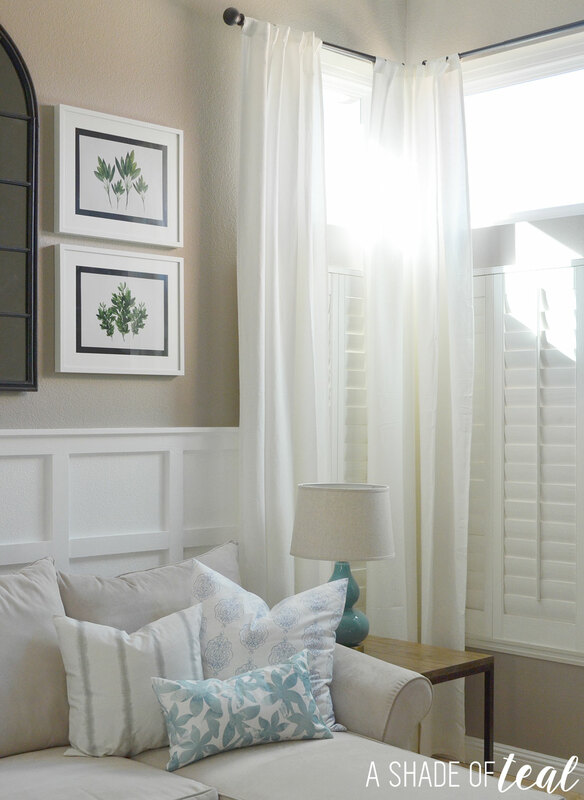 Another must for my home is the LENDA Curtains, you can find them in several rooms of my home. These curtains are too good to be true when it comes to price and quality. I love the linen texture of them. You can also find IKEA’s throws in my home. 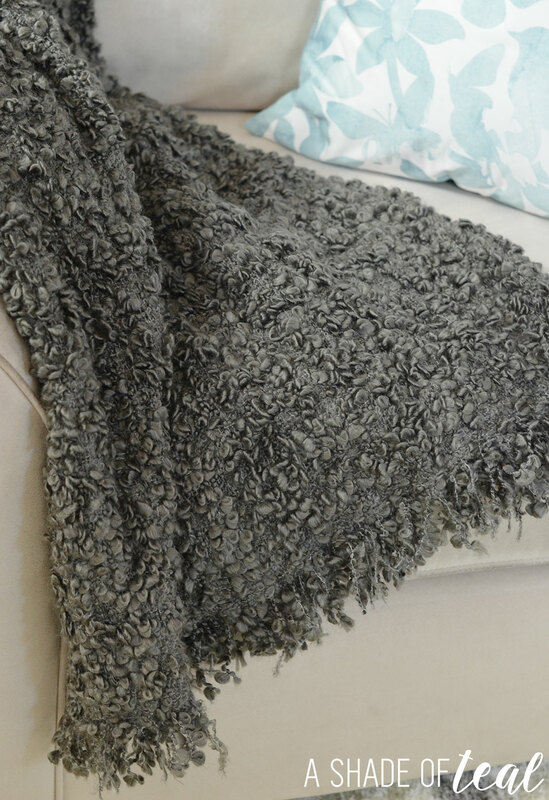 I’m really loving this gray OFELIA Throw. 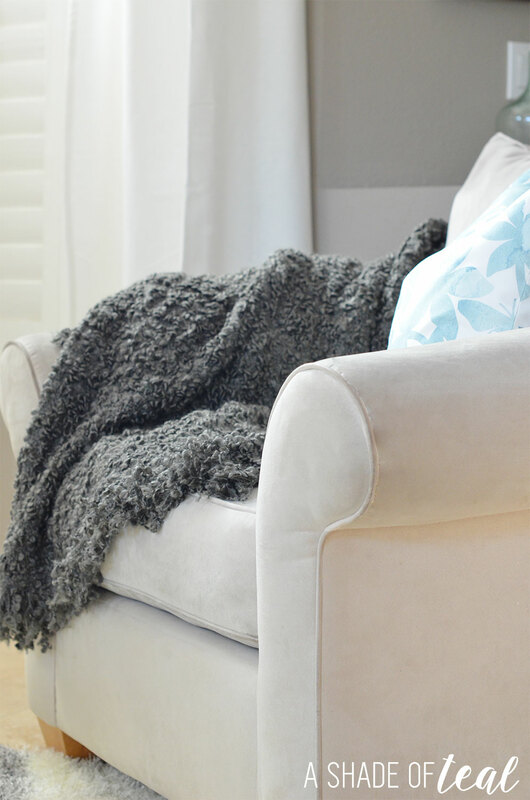 It’s super soft and cozy, perfect for a fall night. On the other side of the room sits my dining area. I have a old STORNÄS buffet and above it I created another gallery wall using the RIBBA frames. I also incorporated my favorite faux plants, the FEJKA. Thank you again to IKEA for being one of my sponsors, I couldn’t complete this room without them! IKEA® is a registered trademark of Inter IKEA Systems B.V. The views, ideas and opinions expressed here are my own. Oh, how I love IKEA! 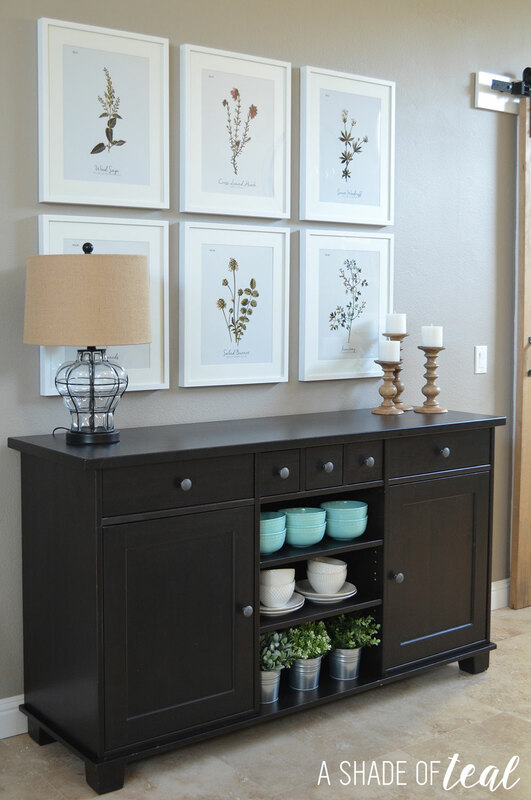 You have done a great job incorporating so many of their pieces into your home. I really like that throw – it looks super cozy. This decoration is so cute! Ikea has always great options. Very neat. Color combinations were eye catching and those decors are perfectly in their places. IKEA has a lot of ideas to make your home decorating a breeze. I love that Ofelia throw. It does look so warm and comfy! 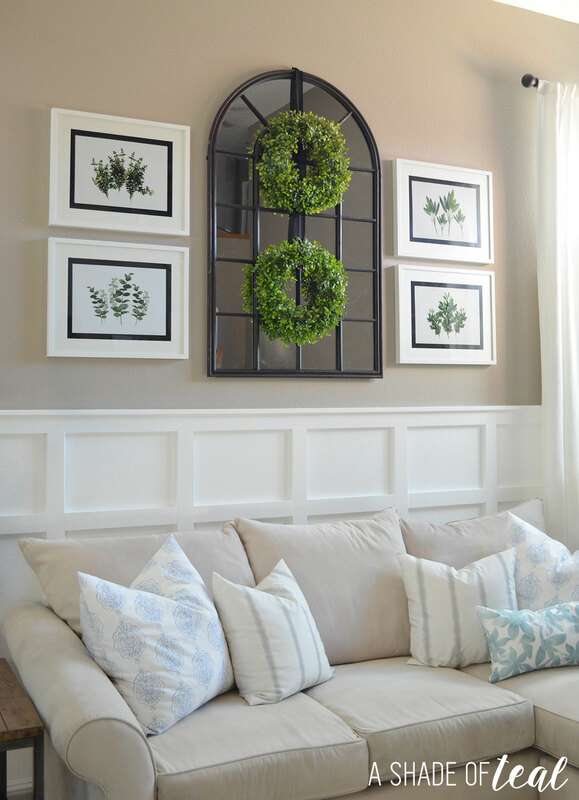 The picture frames and the wreath are just perfect for the season! When I saw IKEA in the title of your post, I knew I would love it. I’ve been going to IKEA since living in Holland (I live in the US now). They have the best home decorations. I love how the room has a lot of white in it. It brightens it up and makes it look bigger. Really nice ambiance. What gorgeous ideas! IKEA has some great stuff. I love the whole look! So warm and cozy. Thanks for sharing! This is so lovely and inviting! 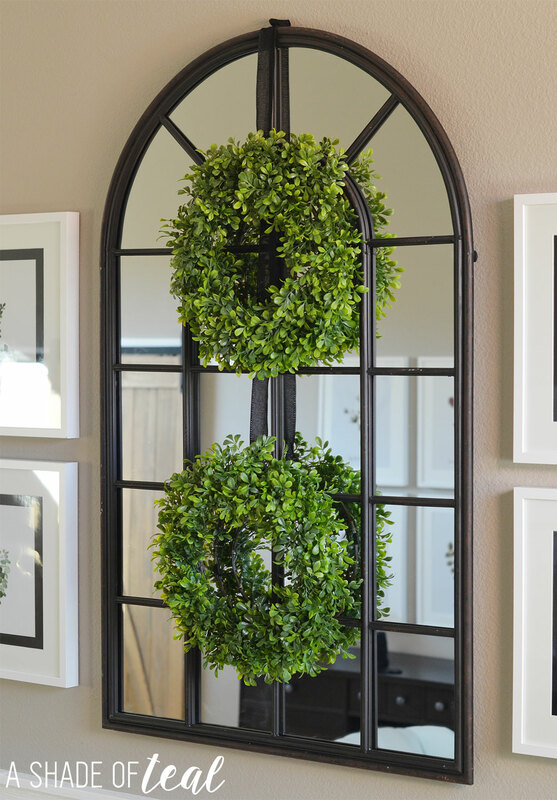 I really like the wreaths, and how you’ve hung them over the black framed mirror. 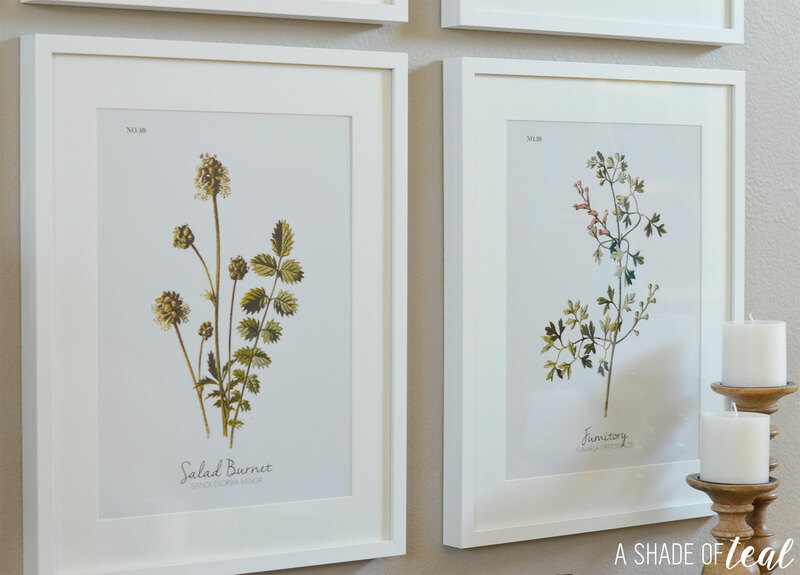 We have quite a few RIBBA frames at our house and I just love how neutral and pretty they are. Lovely home you have. Nice simple decors. Truly wonderful and beautiful. My wife loves going to Ikea!! I love how you did these updates to your home, everything looks warm and inviting. I love the decors, we almost have the same taste when it comes to designing a room! I am planning to re decorate my living room too and this inspire me to decor it with a modern rustic theme. I love the greenery you chose! I also think those framed prints are to die for! Love it all! Your living room looks absolutely beautiful! I love the colors and it just looks so inviting. I’m going to need to stop by IKEA soon! Interesting… I couldn’t find a place to comment before… I bet my subscription needed time to process! Great prices on the wreaths! On my IKEA wishlist! You are just down the 405 from me! Where did you get the prints that are in the RIBBA frames next to the mirror? I made them myself with different art elements I found online.